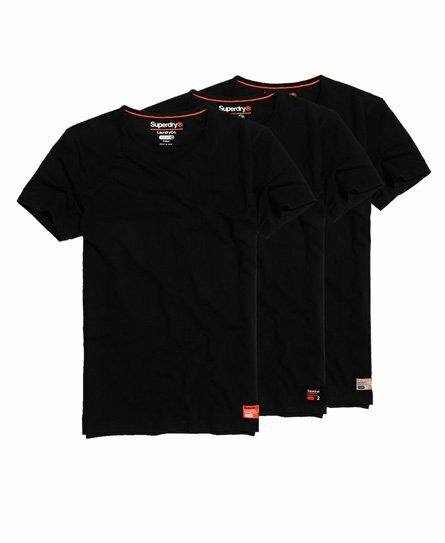 Superdry men's SD Laundry organic cotton t-shirt triple pack. Luxuriously soft and cosy, this triple pack of t-shirts feature a crew neck, short sleeves and have been designed in a slim fit. The t-shirts have been completed with a Superdry logo badge above the hem. Pair with joggers for a relaxed and comfortable look. Made with Organic Cotton - Made using cotton grown using organic farming methods which minimise water usage and eliminate pesticides, maximising soil health and farmer livelihoods.